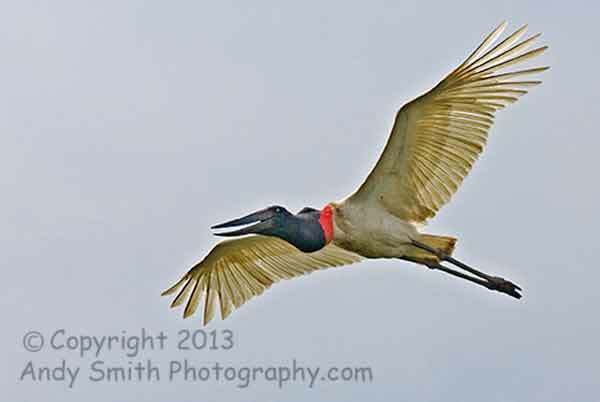 The Jabiru, Jabiru mycteria, is a large stork found from Mexico to Argentina, except west of the Andes. It is a signature bird of the Pantanal. The name comes from the Tupi-Guaraní language and means "swollen neck". The Jabiru lives in large groups near rivers and ponds, and eats prodigious quantities of fish, mollusks, and amphibians. It will occasionally eat reptiles and small mammals.